(TibetanReview.net, Jun13, 2018) – The United States has on Jun 12 unveiled a new US$256 million representative office in Taiwan’s capital, a de facto embassy that underline’s the strategic importance to it of the democratic, self-ruled island that faces threats of invasion from China which considers it a renegade province. Washington cut diplomatic ties with Taipei in 1979 as a condition for switching recognition to China which also joined the UN with a veto-power wielding Security Council membership. The US remains Taiwan’s strongest ally and sole foreign arms supplier. It opened the American Institute of Taiwan (AIT) to conduct relations between the two sides after severing diplomatic ties. Taiwan’s President Tsai Ing-wen said the new complex was a reaffirmation of both sides’ commitment to a “vital relationship”. The new complex, a significant upgrade from the low-key military building the AIT had used for decades, will serve as the representative office later this summer, Reuters Jun 12 cited AIT Director Kin Moy as saying. 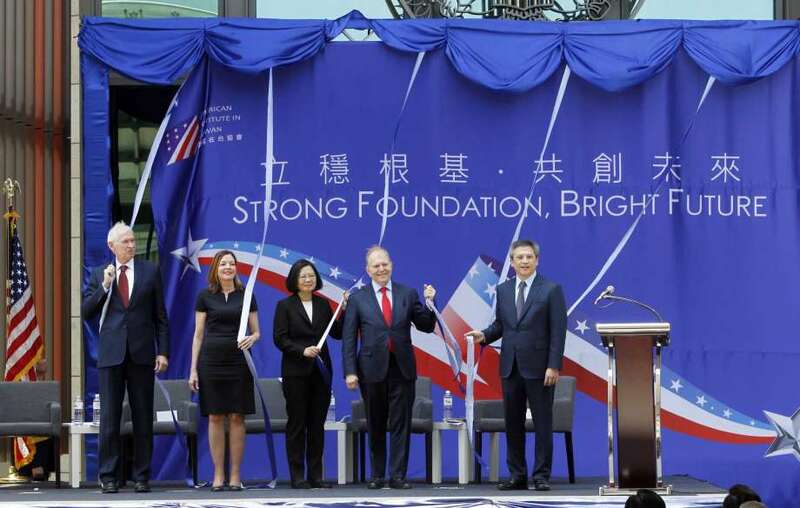 Marie Royce, US Assistant Secretary of State for Educational and Cultural Affairs, has said the complex was a symbol of the strength and vibrancy of the US-Taiwan partnership. “We have faced many trials along this journey, but we have risen to the challenge at every turn, knowing that our shared commitment to democracy would see us through,” Royce, the highest-ranking State Department official to visit Taiwan since 2015, was quoted as saying. AIT’s Taipei office was stated to have nearly 500 American and local employees, while its Kaohsiung branch had more than 30 staff. China’s hostility towards Taiwan became more pronounced after President Tsai’s election in 2016. Beijing suspects Tsai, and her Democratic Progressive Party, wants to push for formal independence, which would cross a red line for Communist Party leaders in Beijing. Its relationship with her predecessor, Ma Ying-jeo of the national Kuomintang, was much better as the two share the idea of ‘One China’ albeit with different interpretations. China’s Foreign Ministry has said Jun 12 that it had lodged stern representations with the United States about the unveiling of the new de facto US embassy. China’s hawkish state-run Global Times newspaper said Jun 12 that Beijing needed to warn Taiwan and the United States against provocation.